Betfair announced this week that it has upgraded its mobile betting apps for iOS devices. 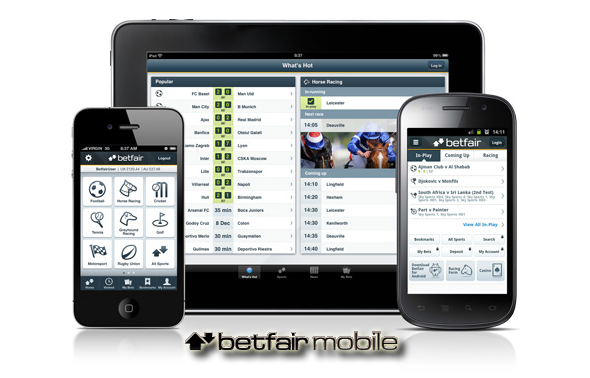 Betfair has overhauled its betting apps and now they offer more features than ever before. Betfair has now introduced the Sports App and the Exchange App which enable players to place single and multiple bets quickly, easily and securely via their Apple devices. The Exchange App also gives players the option of adding singles to their bet slips, placing cross-sport multiples on specially designated markets and will also include Betfair’s Cash Out feature. Betfair has said that markets which allow multiples will be marked with an ‘M’, the app will also allow players to see news and tips offered by the company. The new Sports App is an updated version of the Multiples App. It has been completely redesigned and allows each-way betting on horse racing as well as other features such as Next Five horse races, in-play betting, goal alerts, news, tips and cashback offers.